CSV files to DOC, PDF, HTML, TXT, XLS, DBF, XML in batch. 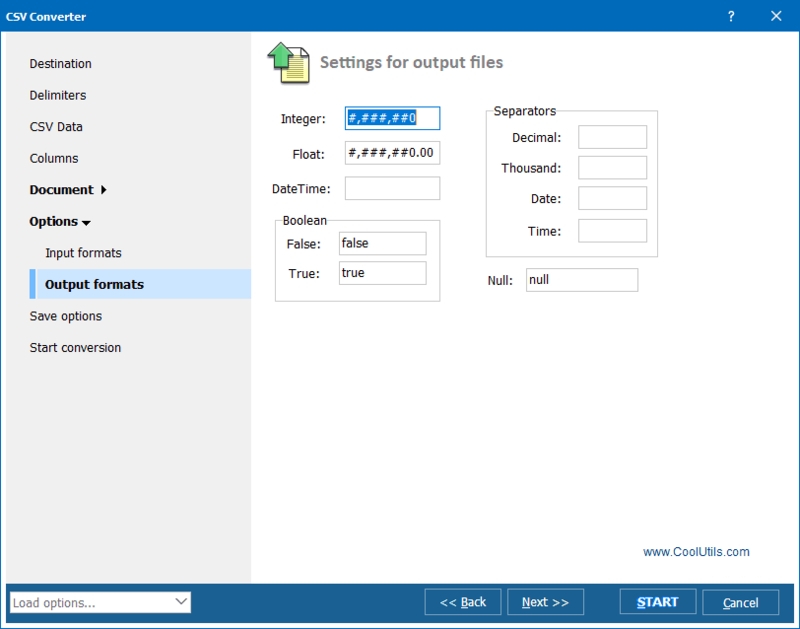 A reliable tool to convert CSV to DOC, PDF, HTML, TXT, XLS, DBF, XML in batch. GUI and command line. 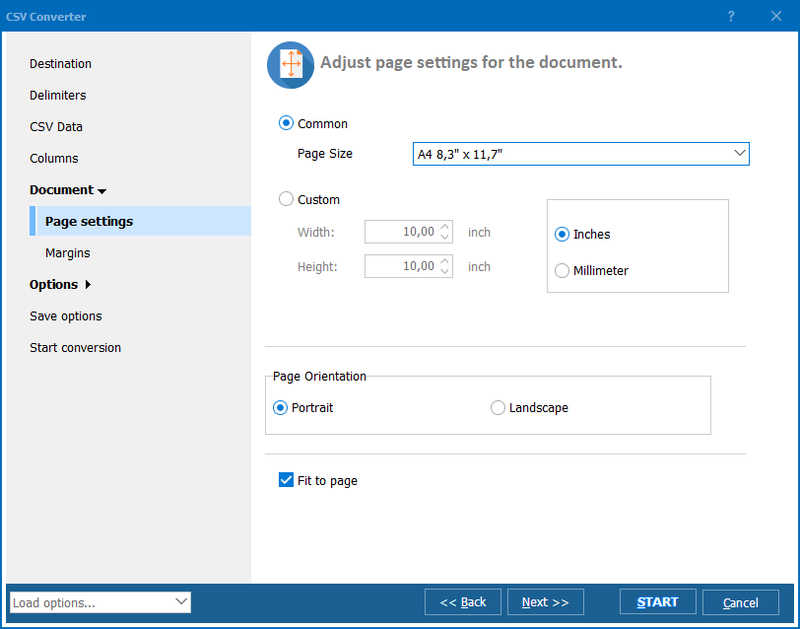 When you export CSV to XLS you can use the options of making the header bold and column autofit. Don't take our word for it though, give it a try. We're currently offering a free 30 day trial version to let potential users get a better idea of how useful the Total CSV Converter can be. 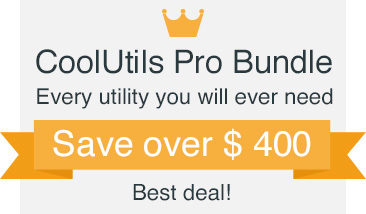 So download your copy today and see why we are the #1 developer of robust conversion solutions. "Awesome! The CSV file I am converting has 371 columns and conversion only takes 1.8 seconds. I previously used Apache POI, but was hitting RAM limitations. Or the process would take 10+ minutes (which I believe is a major bug due to the library attempting to autosize all of the columns based on content.) I evaluated three different CSV-to-XLSX command line programs and they all had the same bug. (CoolUtils was the first company to fix it and respond.)" It's very easy to convert CSV files with our app. The interface is strightfowrad and the step-by-step settings windows prevents you from getting lost. 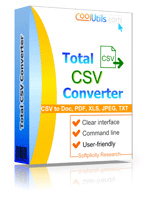 Download and install Total CSV Converter using the buttons below. 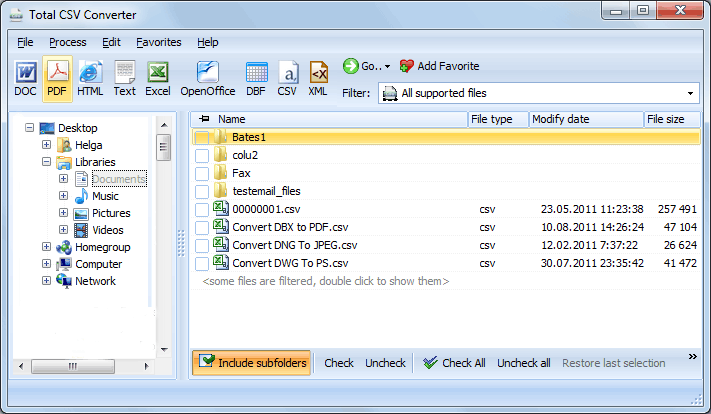 Select the folder with the CSV files in the left folder tree. Check the files that you need to process. There is the Check All button below the list. 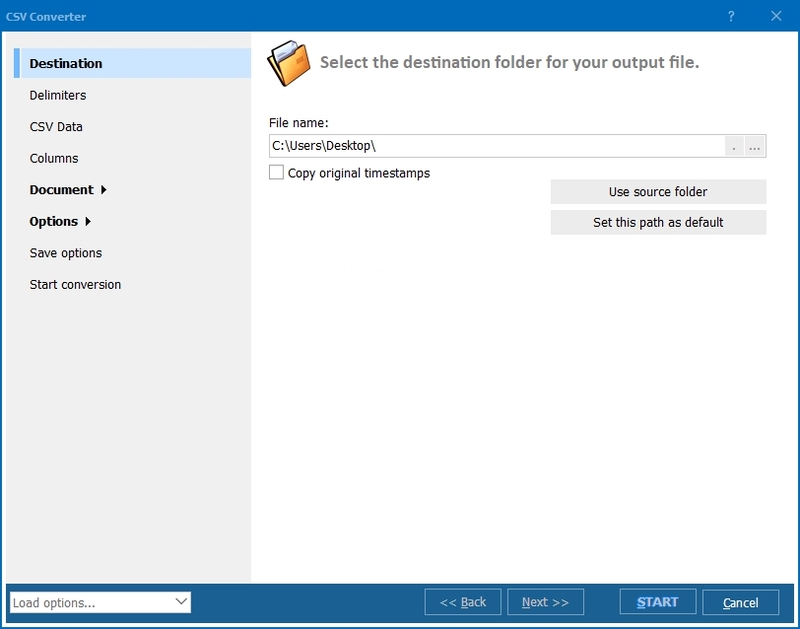 The wizard helps you make the settings, First inlay will ask where to place the output files (destination folder). Then you are offered to set the delimiters for your CSV files. You can also set the color of your header and the background color. Go through all of them to customize your conversion to your needs. Note that you can skip some rows that you don't want to include into the final document. When you are done, press Start button. The app will open your Explorer with the selected files. You will also see the log file of the conversion. 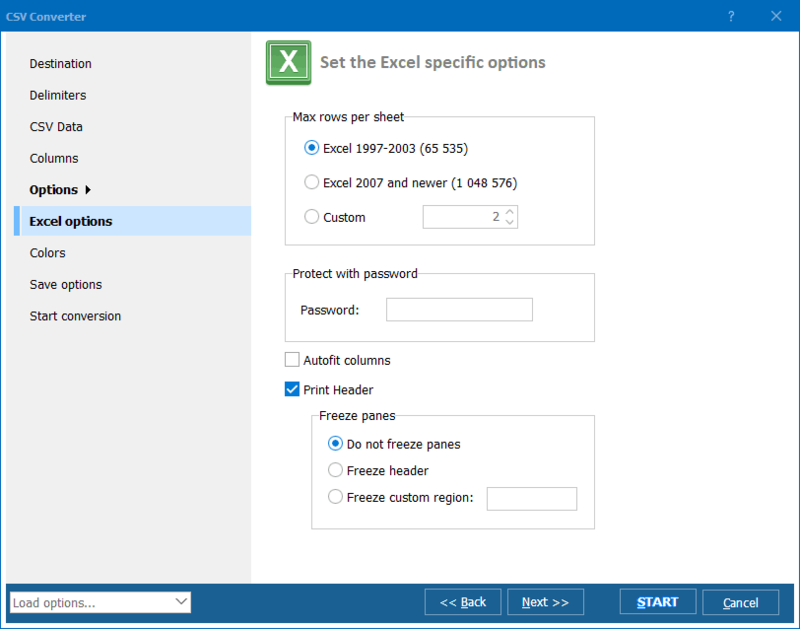 If you have any questions on how to convert CSV to XLS and other file types, contact us any time. We will offer you a helping hand within a day.